Hashtags are everywhere and it is time to get behind this movement. If you aren’t convinced, the 2014 SuperBowl saw more ads with a branded hashtag than ever before. The Budweiser hashtag: #BestBuds was included in over one hundred million tweets. That’s what might be called potential. 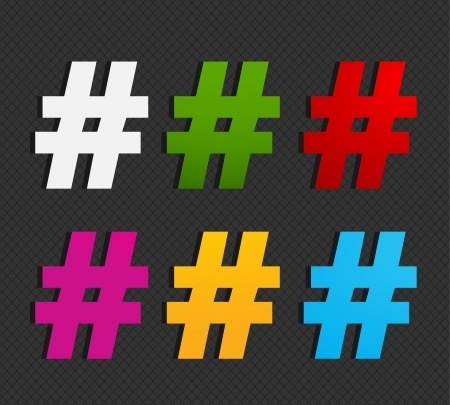 Ready to consider creating a branded hashtag? Here are five rules to keep in mind while brainstorming your new hashtag. Tweets are limited to 140 characters, as you know. However, you need to make sure you leave room for retweets and other comments to be added, so they need to be even shorter than that. Keep your branded hashtag to no more than two or three words, maximum. In addition to keeping it short, try to make it unique but easy to remember. Catchy words and descriptions are great and feel free to abbreviate terms. The St. Joseph Chamber of Commerce just recently created a hashtag for the Parties on the Parkway 2014 using abbreviations (#POTP2014). It is abbreviated and short, easy to remember, and the year adds some description to the hashtag. Events are more likely to have hashtags created for them these days. With events being relatively similar, it can be difficult to not get mixed in with another similar event. Be sure you are creating a unique hashtag by keeping the conversation relevant to your event and providing great content. Articles, blogs, and visual content can all help direct your hashtag while making it unique to your brand. While it needs to be short, be sure to use proper grammar and spelling. Without it, the hashtag looks unprofessional and loses credibility. Create some separation between words, making it easier for your audience to read, by capitalizing each new word within the hashtag (i.e. #ContentMarketing). The most successful hashtags are those that pair it with visual content such as photos, videos, and infographics. These tools are useful to those who are just joining the conversation, as it can make it simple to gather information quicker. Additionally, with the updates Twitter just made to their platform, visual content has a greater focus. They made these changes because they recognized that visual content was getting more attention and more engagement. Be sure to use that to your advantage. If you are ready to create your own branded hashtag, but aren’t sure where to begin, contact Susan J. Campbell today. We are ready to pair a solid branded hashtag, visual content, and great copywriting to get your brand heard. This entry was posted in Hashtag and tagged branding, company branding, hashtags, Susan J. Campbell, unique hashtags. Bookmark the permalink.